Planning a wedding is one of the most confusing, yet rewarding affairs to put one’s efforts into. Add to that a fantastic beach destination clause, and there will be a million different decisions to make. 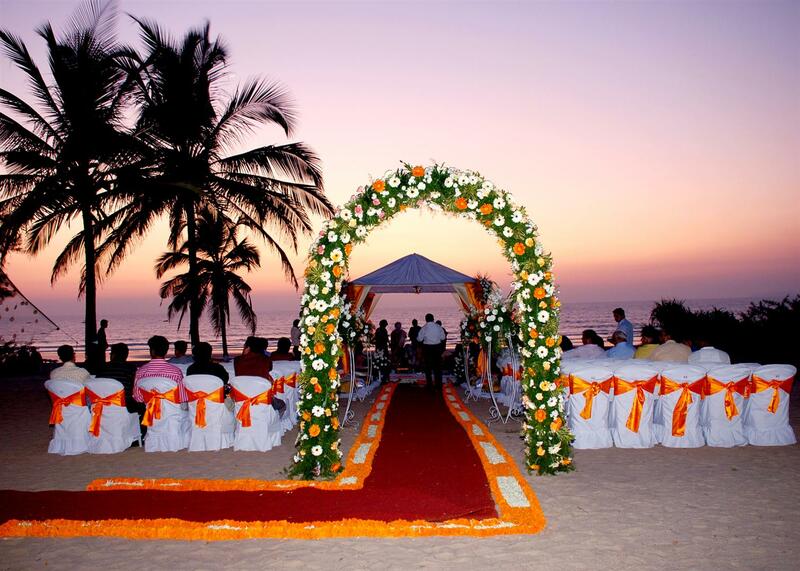 A beach-side wedding in Goa is bound to be on the wedding fantasies of many. However, planning it out and ensuring that it is successful is another ballgame altogether. However, there are some ways to organize oneself and tackle the wedding planning process efficiently. Goa is mainly divided into North and South Goa and each has its own character. Depending on how one wants the wedding to be, the decision needs to be thought out carefully. While North Goa is a more happening area with a lot of tourist spots and activities, South Goa is relatively quieter and more residential in nature. Both areas however, have some fantastic resorts and wedding venues to hold the ceremony in. Whether the couple wishes to have a more upbeat and noisy wedding, or a quiet serene affair is a choice to be made carefully. All public beaches are considered public property in Goa, and a wedding can be held in any beach that the couple wishes. However, certain hotel chains and organizers make wedding arrangements for all enthusiastic couples wishing to get wedded on the beach. The couple needs to decide if they would rather have help in the planning process or do it on their own from scratch. Depending on this, the beach where one wants to get married needs to be selected. When to Have the Wedding? Owing to its tropical weather, Goa does face rains in the monsoon season. It can also get extremely crowded in the peak December holiday season. The best time to get married in Goa would be between November and February due to the favorable conditions. One must make sure to bear in mind the crowdedness in the holiday season, however. Destination weddings entail that guests would need to take time off to make it to the event. That is why, it is important to first pick the dates and notify guests immediately, so that the party is full of the people one would want to have for the ceremony. Planning a wedding in Goa is not a cheap affair. Given that it has so many beautiful places to hold the ceremony in, it is important not to get carried away and spend more than what one can afford on the wedding. That is why, it is essential to keep a fixed budget for the ceremony. This way, one is always clued in to the status of finances. As Goa is one of the most popular destinations for weddings, there are many wedding planners available here to plan out the ceremony properly. One must make sure to hire a qualified professional with relevant experience for a proper ceremony.